Faster results with modern training methods. Call Eclipse Driver Training today. Give your confidence a boost and build your skills sooner with our driving school serving Werribee and surrounding western suburbs. Learning to drive a car is an exciting time. Think of the freedom and independence getting your licence will bring. Along with excitement you may also feel a bit anxious when you get behind the wheel. Whether you've just got your learners permit or preparing for your Vicroads drive test we understand all the emotions you are going through. Practicing in a relaxed environment you’ll find taking on the complex task of driving a whole lot easier. Our successful driving instructors are always professional and looking for ways to build your on-road knowledge. By using fun and engaging instruction we help you make faster progress. Not by continually driving around Werribee drive test routes but by learning simple skills that will last you a lifetime. As a quality local driving school we have a variety of training options to suit your needs. Improve your skills no matter what level of experience you already have. If you’ve never driven before and ready to take the first step you probably don’t know what to expect from your first driving lesson. Like most people you’re probably excited to get started but maybe a bit nervous too. No need to worry. Our friendly instructors will patiently guide you through everything you need to know at a pace that suits your learning style. Have you had plenty of practice and looking to take your driving test? With the best advice and proper preparation you will improve your confidence and reduce nerves. Take advantage of our extensive experience helping new drivers get ready for the Vicroads driving test. Our lessons work intensively at improving the skills that will help you pass instead of aimlessly driving around test routes. Transferring your overseas licence can be an intimidating process without the right advice and preparation. Beware of driving schools looking to take advantage of your limited knowledge of the local training and licensing system. Our trainers have a proven track record of honesty and trustworthiness with a growing list of satisfied customers who have successfully converted their licence. Have you previously learnt to drive but never followed through to taking your test? A busy lifestyle can sometimes push the priority of getting your licence down the list of “things to do”. You’ve put it off long enough and now you’re ready to give it your best shot. 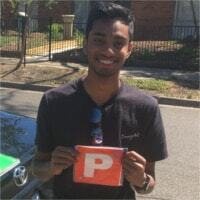 Our friendly instructors can help you overcome any concerns so you can achieve your goal of getting your licence sooner. No matter how nervous you are, you will immediately feel relaxed with our friendly and patient trainers. Enjoy a fun and stress free learning environment with no surprises. We coach you in basic car control in the first few lessons and explain road rules in a simple way to help you make progress. By training you all the way through to confidently passing your Vicroads test you will ultimately enjoy the freedom of having a licence. Our experienced local instructors are regularly helping students from a variety of backgrounds to become safer drivers. You can be sure you will be educated using modern training methods suited to your individual learning style. From being introduced to the basics right through to successful licence tests, our satisfied customers continue to develop their driving skills to a higher level. Don’t just take our word for it, check out our genuine Google and Facebook reviews and see what our satisfied customers say. Driving a car on busy public roads is probably the riskiest thing you will do every day. Beware of driving schools that advertise a high first time pass rate they can't substantiate. You can't afford to risk your safety with training that under prepares you for solo driving. Our properly structured driver education exceeds Vicroads standards and builds a solid foundation of defensive skills that will last a lifetime. Contact Eclipse today and experience the best quality driving instructors Werribee has to offer.